Filling out it’s Portastudio range Tascams latest announcement brings us the DP-24SD portastudio which as you may expect from the name, sits in the middle of the range between the 8 channel and 32 channel models. The range offers a modern take on the classic portastudio concept, with this model offering 8 concurrent channels of recording inputs through a combination XLR and 6.3-mm combo jacks with a total of 24 recording tracks to work with in total. 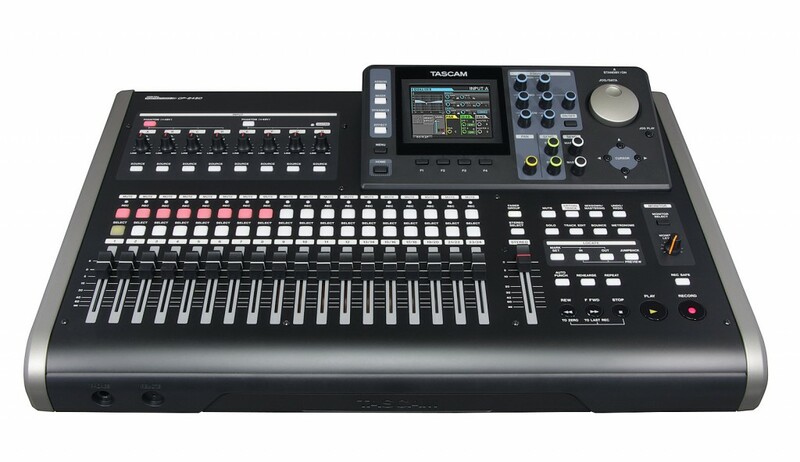 This model also offers input processing including compression and limiting during the recording process, as well as guitar amp simulation and multi-effects for use with the instrument-level input. Korg Pandora Mini - For Practice, its Perfect!